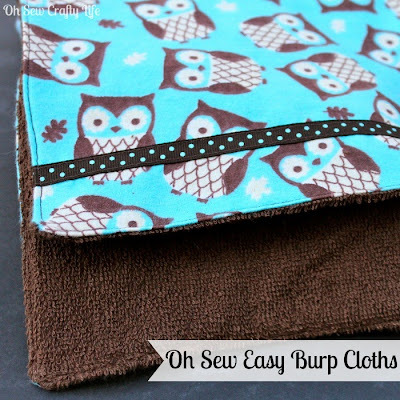 I know quite a few people who are pregnant or have babies right now and wanted to share with you a super easy project that is great for handmade shower or new baby gifts: burp cloths. If you are going to use any embellishments, I suggest adding them first. 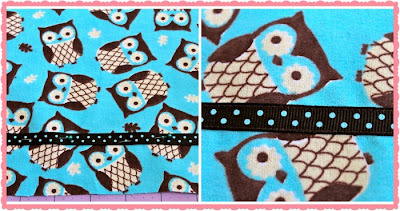 I used a piece of ribbon at the top and bottom of my patterned flannel fabric. I first measured where I wanted it to go, then pinned it in place. 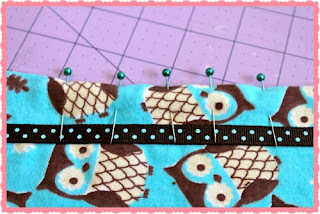 Once pinned, sew on your ribbon or embellishments. 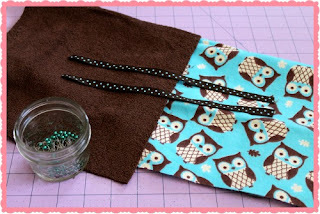 Place your fabric right sides together and pin. 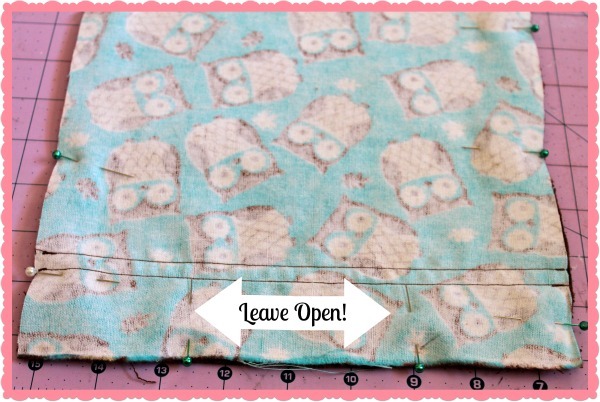 At one end, mark a space a few inches wide that you are going to leave open to turn the fabric right side out. 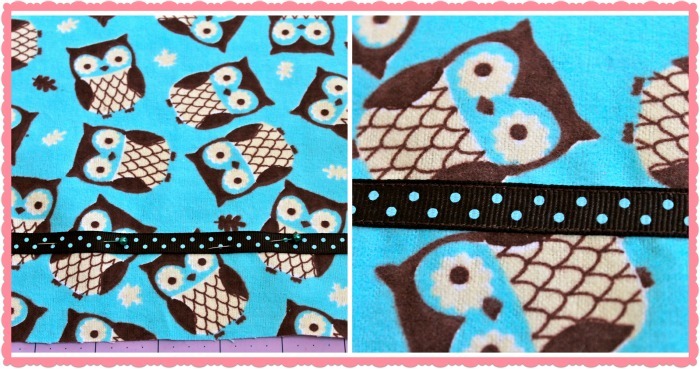 Sew a 1/2" hem around the edge of the pinned rectangle. Be sure to remove the pins as you sew and to leave an opening at one of the ends so that you can turn the fabric right side out. Trim any excess fabric and clip corners at a diagonal. Turn the fabric right side out and press. At the open end, fold in the edges of the material so that they are in line with the sewn edge, press and pin. 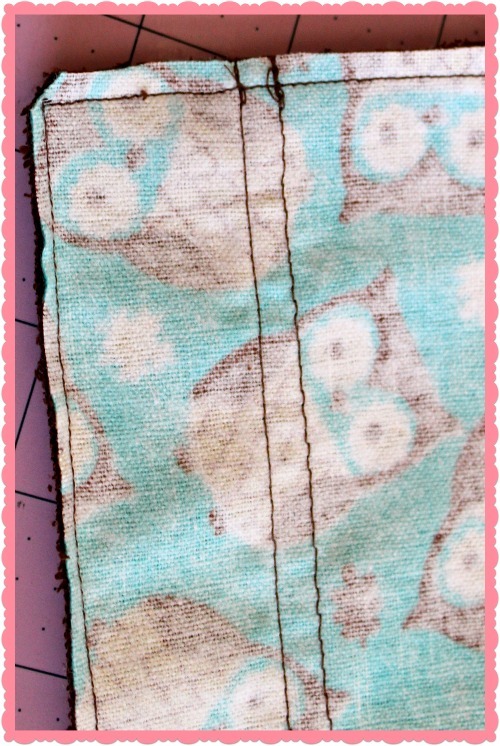 Sew the pinned part closed 1/4" from the edge, and continue the stitch around the entire burp cloth. Snip any loose threads and voila! You are done! 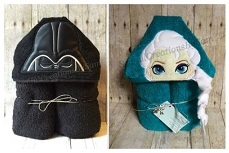 These take almost no time at all; you can make a few in under an hour! 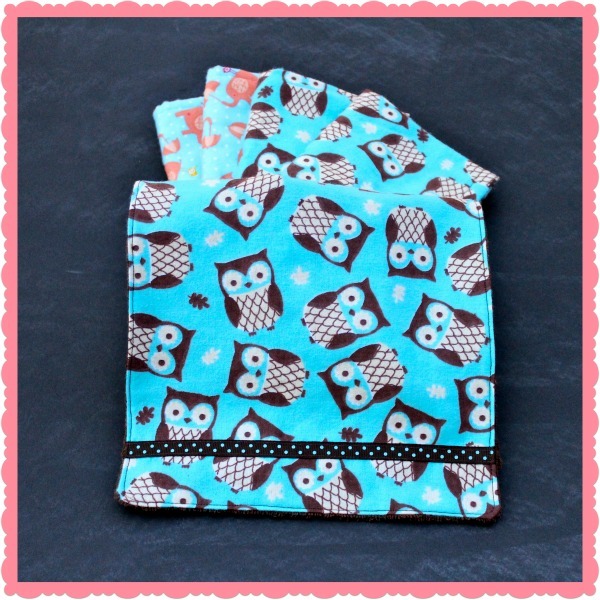 Perfect for baby shower gift...and I have two young friends having babies soon. Wonderful idea! What a great idea and I love this fabric, too nice for what it's intended to clean up! ha ha! I wish we had a Joann's here, I'm looking for owl fabric to sew a new wallet.